Bankruptcy and Foreign Debts - Crooks, Low & Connell, S.C.
For those overwhelmed by their personal debt, or debt from a business venture, bankruptcy can be an important means of getting past the stress and starting over. While bankruptcy addresses debts that you may have that are acquired in the United States are governed by U.S. law, many clients also wonder how bankruptcy will affect their foreign debt. In Wisconsin, for example, residents may travel frequently between Wisconsin and Canada, or perhaps travel abroad for business trips or schooling. During this time away from the United States they may incur debts that are owed to foreign businesses or entities. This is known as foreign debt. The United States bankruptcy system is designed to adjudicate debts incurred in the United States. It does not address debts incurred abroad. This means that even if a bankruptcy ultimately prevents your U.S. creditors from collecting on their claim against you, the same cannot be guaranteed for foreign creditors. Even after a bankruptcy, if you move back abroad, it is possible that your foreign creditors will attempt to collect against you. However, while your bankruptcy is pending in the United States, all potential actions to collect against you are halted by the bankruptcy. This applies to foreign creditors as well. They cannot go to U.S. courts and try to enforce their claim while your bankruptcy is ongoing. But Is Foreign Debt Even Enforceable? While U.S. bankruptcy may be of limited help in protecting you from foreign creditors, our legal system generally makes it very hard for foreign individuals to collect against you in the United States. In Wisconsin, the courts follow the Uniform Foreign Money Judgments Recognition Act, which imposes certain requirements on the foreign creditor. Just because your foreign creditors cannot collect on their debts or judgments against you in the United States doesn’t mean that the debt is eliminated. If you frequently return to the country where the debts were incurred, whether for family or work, your foreign creditors may attempt to hold you liable in their home country. 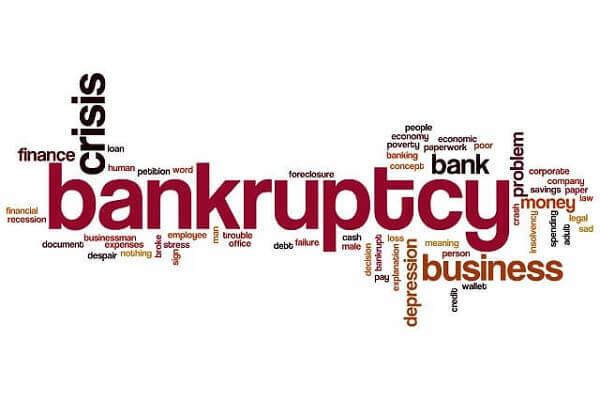 Bankruptcy is an extremely serious decision and one with wide-ranging ramifications. If you are considering bankruptcy and have additional complications such as foreign debt, it is very important that you speak with a bankruptcy attorney to determine how best to protect yourself and your loved ones. At Crooks, Low and Connell, P.C., our Wisconsin bankruptcy attorneys can assist with both standard Chapter 7 and Chapter 13 bankruptcies, as well as bankruptcies involving complicated claims to assets. For more information, or to schedule a consultation, contact our offices online or at (715) 842-2291.